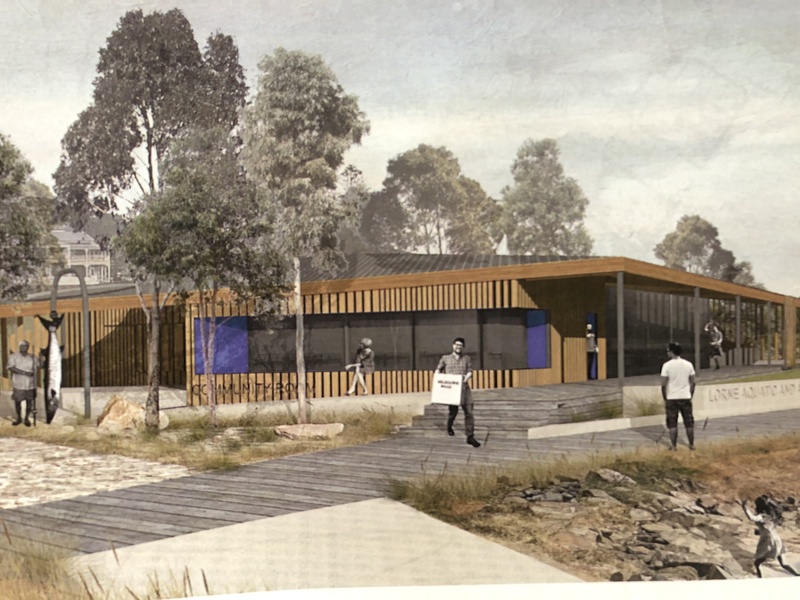 After countless meetings between ourselves – GORCC, DELWP, the Architects, Builders and Consultants, the plans for our new club house and the complete Point Grey Redevelopment have been handed in to the Surf Coast Shire Planning Department and DELWP for planning approval. We are extremely happy with the location we have been given which is much the same as our current location only slightly closer to the town. Because it’s on Crown Land we had very little say in the shape and outside appearance of the building, but we believe the final result will be acceptable. Our floor plan which we have been negotiating with the Architects for many months isn’t exactly what we wanted but with a couple of small changes to the bar, cool room layout and removing wall sections in the front windows the negotiated outcome will be acceptable. GORCC have assured us this will happen. We have asked GORCC in writing that our requested changes be incorporated into the final plans and we will only commit funds to the build when happy. There is no boat wash shown on the plan adjacent to our building, but we are still negotiating and haven’t yet won this battle but haven’t lost it either. Because the state government are forming a new body to manage the Great Ocean Road in my opinion this will probably delay the redevelopment by a year or two. As time goes by the cost of our building will increase substantially so even after the $900,000 grant awarded to us by Sara Henderson and the federal government, we will still need to do a bit of fund raising in the near future. The plans are on display in our clubhouse so please drop in and check them out. We welcome your feedback. 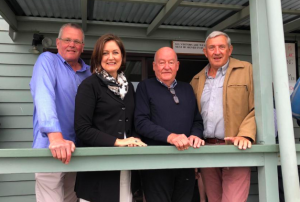 Corangamite MHR Sarah Henderson attended the Lorne Aquatic and Angling Club Saturday afternoon to announce $8million funding for the Point Grey redevelopment as part of the Geelong Surf Coast City Deal. A packed crowd of Lorne locals gathered to hear Ms Henderson’s announcement on what has been an 11-year journey to implement the Point Grey masterplan. 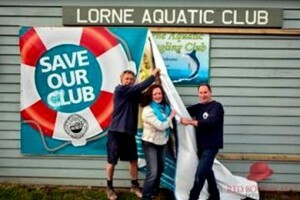 The Lorne community has been very supportive of the battle to keep the LAAC in its present location. LAAC vice commodore Doug Williams extended Ms Henderson a vote of appreciation. “Now that LAAC has funding, it can really secure the future of this 58-year-old club for another 58 years,” he said. The building was expected to cost $1.2 million to $1.4 million and the LAAC would make a substantial contribution to the building and fit-out costs, Mr Williams said. LAAC had approached local politicians for the anticipated shortfall of $900K, which Ms Henderson had now confirmed. Attendees included Surf Coast Shire Deputy Mayor and local Lorne Councillor Clive Goldsworthy, Ken Northwood and GORCC CEO Vanessa Schernickau. Mr Williams said Ms Henderson attendance at Lorne as its local Federal member gave Lorne residents optimism about the future in providing a community meeting place. “The fact that the funding is tied into the Geelong and Surf Coast City Deal will guarantee Point Grey’s funding irrespective of the pending state and federal elections,” he said. “The LAAC has really evolved over the last ten years to become a real community hub with attendances now displaying great gender balance of both young and old. LAAC commodore Keith Miller returned from overseas today (Sunday) and missed the surprise announcement. He said the LAAC has been working hard with its building and finance committees to shape and fund the new building and with guaranteed finance looked forward to securing the future of the iconic club. “We appreciate the bipartisan approach of the State and Federal governments in looking after the interests of our vital Great Ocean Road,” he said. PHOTO: Clive Goldsworthy, Sarah Henderson, Tony Peddie and Graeme Norton at Saturday’s announcement. CONTACT: Rory Costelloe 0418 109 998. Our finance sub committee and Commodore Keith Miller have been busy meeting with our local politicians applying for government grants. We have been working hard, saving as much as possible over the last few years but we are a long way away from the amount we require to rebuild our old club house. Without government assistance it will be nearly impossible. The plans are progressing with the internal floor plan almost finalised. We are still negotiating the location of our boat wash which has become a bit of a stumbling block. The federal member for Corangamite Sarah Henderson visiting our club. 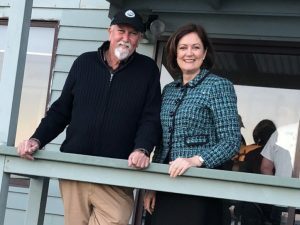 The federal member for Corangamite Sarah Henderson visited our club recently. She is right behind us and will be doing everything she can to help us receive some financial assistance from the government to rebuild our club house. We are meeting regularly with GORCC and their architect where things are progressing well. We are very close to finalising the plans for our new club house. As soon as this is accomplished I will display the plans in my Commodores Notes. Our building subcommittee have just had a meeting with GORCC and the Architect to discuss the plans for our proposed new building. We had a very amicable meeting and made a lot of progress, both sides compromising with both the outside appearance and the inside floor plan. I believe we are now very close to finalising a plan that everyone will be happy with. Our finance subcommittee are meeting this week to discuss issues and formulate some guidelines so We can then have another meeting with GORCC and hopefully negotiate a good outcome for the club financially. This was part of the recent LAAC submission sent to DELWP accompanied by supporting letters from a large number of Lorne clubs and community groups. In the latest plan for Point Grey commissioned by GORCC there will be a new clubhouse of 235 square metres to incorporate the facilities that a modern complying amenity should have in order to accommodate everybody who may use it. ARTS—Lorne Sculpture Biennale, Festival of Performing Arts. EDUCATION—Lorne P12 College fishing programs, Snorkelling/Rock Pool Rambles, Boat Rescue Victorian Fisheries Marine Radio Base. SPORTING— Pier to Pub, Mountain to Surf, Regular Fishing Competitions, Visiting Sporting Groups- Cyclists, Swimmers, Tennis Clubs, Footy Clubs etc. SOCIAL— Family Reunions, Birthdays, Funeral Wakes, Work Break Ups, Pre/post Wedding activities etc. It’s an important hub for the local community to get together and keep in touch and visitors are always made more than welcome. 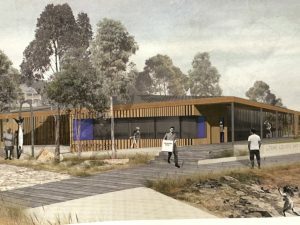 To make the proposed new building compliant with the Building Code of Australia (BCA) the architects have reconciled the 235 square metre floor plan by addressing such needs as having enough toilets, complying with the Liquor Control Board, having a Kitchenette and a Cool Room to meet modern standards. DELWP have asked GORCC to justify the increase in size. If we aren’t granted permission for the bigger building after incorporating the upgrading needs, we would end up with a much smaller lounge area than we have now which would make it impossible to function properly. It’s too small now and as visitor numbers increase each year its essential that we get the approval for a bigger building. We are simply seeking broader community support for our increased size as recognised by GORCC — if they are behind us on this we are hoping everybody else will be too. ALSO PLEASE NOTE – the overall new footprint we are seeking to lease is actually smaller than we have now. On the 1st of June our building subcommittee met with GORCC and their architects to discuss their proposed plans for our new club rooms. At the meeting we met for the first time their newly appointed Project Manager Mr Cameron Ross. After introductions we got down to business and we told them that our comments regarding the design of our building were taking into account the feedback from our committee, club members, the community and the general public from letters, emails, texts and verbal communication. We explained that there were considerable external functional issues and that the internal planning didn’t conform to our brief that was provided to GORCC and the architects. All of these non-conforming issues were pointed out to the group as to where and why they didn’t comply. Following that discussion, a revised internal layout drawn up by our committee man and in-house architect Ric Addison was tabled which displayed a workable layout that would comply to our brief. This layout was of the same building outline and area minus the amphitheatre stepped seating to the south. Other external concerns we had with regards to the boat wash location, lack of car and boat trailer parking as well as the area taken up near the boat launching channel by the boardwalk steps and lookout area therefore reducing the number of parks available on the beach. We also requested information regarding the northern entry road as to its realignment etc. Without this information it’s not possible to finitely position our building. These concerns were noted by the Architects and it was proposed that they would prepare a return brief for us which we are now waiting for. As soon as we receive it and detailed discussions have taken place we will advise everyone of the situation. There was an earlier meeting on the same day with our Finance Sub Committee and GORCC to discuss the proposed ‘heads of agreement ’. This includes lease matters, tenure, rental, maintenance etc. 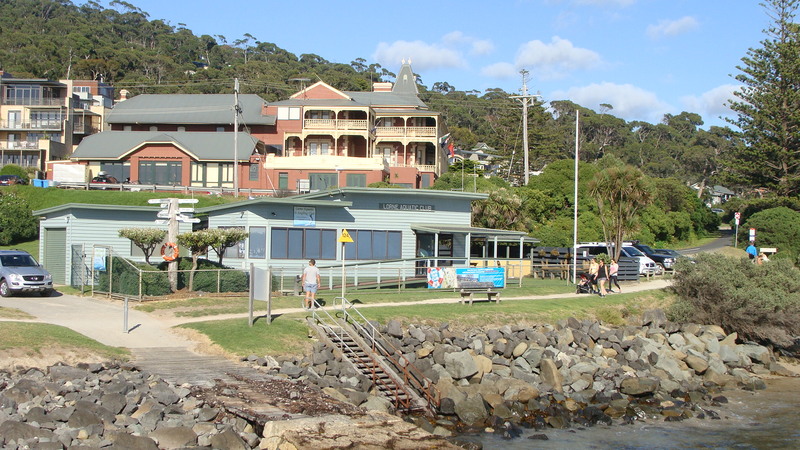 Great Ocean Road Coast Committee (GORCC) is the manager of the Point Grey precinct where the Lorne Aquatic and Angling Club (LAAC) (also known as the ‘A-Team’ or ‘the Anglers’) clubhouse is located. As many of you know, GORCC has been running an architectural design competition to come up with a concept design for the re-development of Point Grey. The winning entry has been unveiled. It is important to remember that this is a concept only. GORCC provided a brief to the architects, but the architects were not allowed to talk to the LAAC, or anyone else, while they were preparing their design. They did say that this had hindered them in carrying out their task. We would now like your feedback on the concept, so far as it relates to the LAAC clubhouse. To assist you, we have extracted several items from GORCC’s website and set them out below. 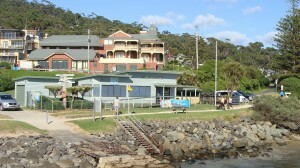 Further information is available on GORCC’s website – http://www.gorcc.com.au/projects/point-grey-lorne-redevelopment/. To comment, please use the survey form – https://www.surveymonkey.com/r/LG297QP . Independent and self-contained the LAAC is located in a building designed to be both independent yet connected, adopting a common language of materiality. The Building is a key cardinal marker of the site, separating vehicles and pedestrians. The roadside elevation belies the activity beyond. Designed to be experienced through movement, the building accommodates the LAAC utilities of boat wash and loading and fish cleaning, as well as offering selected exterior spaces for public use. The broader public realm of the precinct continues onto the amphitheatre steps, providing a unique vantage point over the main building and out to the horizon. This extension of the public space increases the diversity of opportunities for congregating. The social spaces and community rooms are designed to have maximum outlook and connectivity to the pier and ocean. Large sliding doors open the building to the lawn and deck, with commanding views over the calmer waters of Loutitt Bay. Not a lot to report on the Point Grey Redevelopment from our last report. We are still awaiting to be advised by GORCC of the winner of design competition, and when know will give us the opportunity to meet with the winner and discuss their design to ensure our the LAAC requirements are met. As soon as this important step is reached we will advise every one of the outcomes. With the appointment of GORCC ‘s new CEO Ms Vanessa Schernickau, an introductory meeting is proposed on Wednesday 18 April with our Commodore and Vice Commodore and Vanessa to familiarise her with our club, its members and the club’s needs. The 4 selected architects from the 39 people of interest have been announced via a press release and are all very well credentialed professionals and it will be very interesting to see their outcome. We forwarded a letter to each of them inviting them to meet with us so that we could explain to them our specific requirements and thoughts on the redevelopment of our club house. This didn’t happen as we were advised by GORCC that this couldn’t happen but we will get the opportunity to meet and discuss the selected winners concept plan before proceeding further. The winner will be determined at the end of march and we look forward to this opportunity when advised by GORCC. 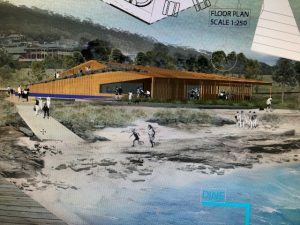 The LAAC chaired a meeting last Monday to address and clarify some matters that had been raised by some interested community members including members from Lorne business and Tourism, Friends of Lorne and Committee of Lorne regarding the redevelopment of Point Grey. The out come of the meeting was that we believed they left the meeting with a better understanding of what is proposed and we are addressing the list of written queries provided. On Thursday 22 March the building sub committee had a further update meeting with GORCC representatives to further understand and advance matters to the next stage of the redevelopment. With the current GORCC CEO Mr RIchard Davies retiring, they have has announced a replacement , Ms Vanessa Schernickau and the LAAC committees look forward to meeting with Vanessa and working with her and her team to complete a successful community project. We have reached the next stage following the 39 persons of interest registration for the design of the whole of Point Grey. The judging panel has selected from these 39 applicants, 4 separate prominent architectural groups to prepare a concept plan for the overall Point Grey Development. There have also been ongoing discussions between the LAAC sub committees and GORCC regarding the LAAC proposal. In the interests of the overall development the LAAC has issued an invitation to GORCC that they would be happy to host a meeting between us and the final four architectural groups together or separately if/as required, to discuss first hand the requirements of the LAAC and to explain how we function. The agenda for the meeting was to hear from Richard with regards to current developments and to share our ideas and plans for our new building. Secondary consent is required from DELWP regional officer Francis Northeast, for all building design components. The Victorian Coastal Strategy 2014 has a clear focus and structure for suitable coastal development. Currently the Business Case for the redevelopment is being written up which includes scoping, selective tendering and approval. As stated previously, a stand-alone building in a similar position will happen. G21 has been briefed on the proposed redevelopment and agrees in principal to support the concept. This will hopefully open access to funding. Regional Development Victoria – Phil Curry has already committed some funding. 11 Richard to consider request that the LAAC Architects be nominated as “the preferred sub- contractor “for our building. GORCC are required to advertise to appoint a head authority for the re-development of the whole of Point Grey, including our proposed building. Obviously what we (LAAC members) eventually agree upon is what we want to build and not someone else’s version. Since 2008 the LAAC has been planning for a new building – $3000 spent on plans. In 2015, $5000 spent on 3D plans to strengthen our case for our plans to be accepted as the bench mark for the precinct. The redevelopment could / should be a staged development. A need is evident that a C0mmunity Reference Group meeting is required in the near future. The first draft of LAAC plans were presented and discussed. The inaugural meeting of the LAAC Future Planning Sub Committees took place on June 6th. The Lorne Aquatic and Angling Club is entering an exciting phase in its history with the Point Grey Redevelopment . To ensure we make the most of what’s ahead we need to draw on the ideas, passion, expertise and networks of our members. FINANCE SUB-COMMITTEE : Budgeting, Fundraising and Sponsorship OR BUILDING SUB-COMMITTEE : Design input from Architects, Engineers, Designers, Suppliers etc. After the sterling efforts of all involved in the Save Our Club campaign of 2013-2014, the Committee would like to thank all members for their support. 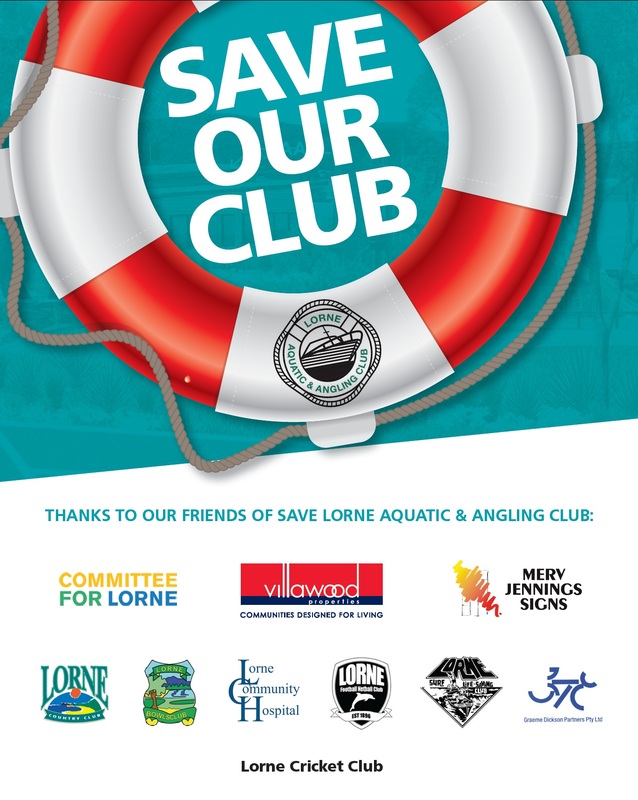 If you feel you have a contribution to make in any of these areas and can bring the requisite skills and/or contacts please email Angela Quinn (Secretary) on info@lorneaquaticclub.com.au outlining your area of expertise or the area in which you would like to lend a hand. 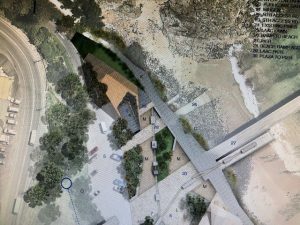 For over six years many club members have devoted time and energy to assist the Great Ocean Road Coast Committee with the creation of draft plans which are representative of community wishes for this iconic precinct. After numerous consultation meetings and public forums, we are now all awaiting the release of the Final Draft Plans for Pt. Grey. The scheduled timeline is for these to be released early in 2015. The Lorne Aquatic & Angling Club will be a stand alone building, occupying a footprint in a similar position to our current site. Your committee hopes that any development will be a ‘staged build’ and that the commercial component and maritime square will be stage 1 and our beloved community hub will be redeveloped as stage 2. Please remember to keep spreading the word and encouraging your friends to help support the club! Copyright © 2019 Lorne Aquatic Club. All rights reserved.